CSR dinner and board member portraits at the Hilton, April 4, 2017. CSR Lobby Day at the State Capital, April 4, 2017. At Lobby Day, the goal is for you to unite with other CSR members and educate your legislators about the issues that affect your careers. We need to show up in more numbers than ever before to convey to lawmakers, the media, and the general public that we want our pensions and health care benefits to remain protected! At the Training/Dinner, you will be informed about the process of Lobby Day and we will guide you on what messages to stress when speaking to the legislators. There will also be a presentation by a Guest Speaker. On Lobby Day, march with your members into the Capitol Building to talk with your legislators and discuss important issues. Lunch will be provided. Stand up with fellow CSR members and let your voices be heard! Together, we can make a difference. Join us! How do I get to/from the airport? Members are responsible for obtaining their own transportation upon arrival to Sacramento (from airport to hotel). Uber, Lyft and Taxi services are available. How will we get to the Capitol? CSR will provide transportation between the hotel and Capitol. Luggage can be stored at CSR HQ during Lobby Day. If you are not staying at the hotel, you will need to drive yourself to the Capitol and park near CSR HQ. Who pays for my travel/hotel/food? CSR will provide dinner for registered attendees on Lobby Day Training, as well as lunch on Lobby Day. CSR master bills a block of hotel rooms for those members who register prior to the designated cut-off date and indicate that they need a hotel room. We will also reimburse other applicable costs (e.g., mileage, airfare, other meals, etc.) for registered members. Reimbursement forms will be available at Lobby Day. Can I get a Travel Advance? Yes! You can request for a travel advance check to be mailed to you before the event. 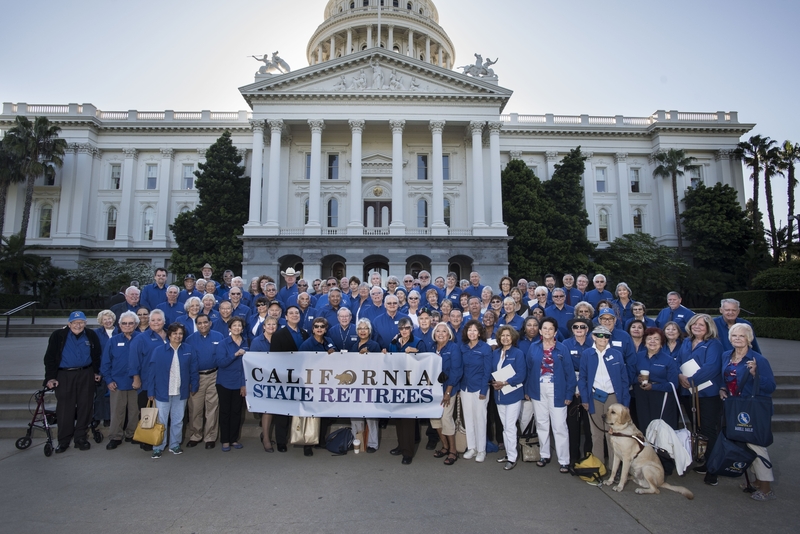 All members attending Lobby Day wear official blue CSR polos or button down shirts. If you do not have a CSR shirt, make sure you request one when you register! Official talking points will be provided at the training. Why aren't we lobbying for ________? In order to focus our energy on making real gains with our legislators on Lobby Day, we are only able to focus on a few issues. We may have 3-5 minutes to speak with a legislator, and we need to make that time count. Issues are selected based on member surveys, political climate, and many other factors. Remember: We can fight for other issues at district office visits, too. No. Only CSR MEMBERS are allowed to attend. CSR works diligently with our legislative liaisons to carefully coordinate time slots and meeting capacities with legislators. In addition, food counts have been submitted well in advance of the event and are tallied for the attending member only. If your co-workers are CSR members, please encourage them to register prior to the registration cut-off date. I registered but I have not received a confirmation letter or any other materials for this event. If your registration was successful, you would have seen a "Thank you" page immediately following your registration online. Also, you would have immediately been sent a confirmation email upon submitting the online registration form. In addition, we also mail letters and Lobby Day materials to your address provided. If you have not received any of these types of confirmations or mailings, please contact CSR headquarters immediately and we will check to see if your registration processed properly. Something came up and I need to cancel. What do I do?